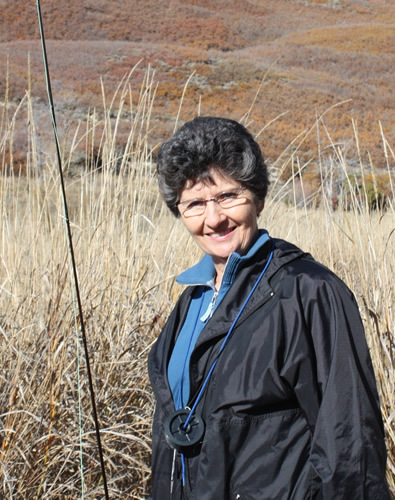 15 Bytes is pleased to announce the winner of the 2016 15 Bytes Book Award for Fiction, Jeri Parker’s novel Unmoored, an “enthralling family saga” set in the area of the North Fork of the Snake River in Idaho. A Salt Lake City resident, Parker is the author of the memoir A Thousand Voices, nominated for the Utah Book Award, as well as an artist. At the local Wildflowers Bed and Breakfast, which she co-owns, over 60 of her paintings are on display. Her works also hang in public and private collections in London, Paris, Athens, Istanbul, Frankfurt, and Sydney as well as half the states. Unmoored, portrays “the complex relationships between key players in a person’s life and who they become,” according to the award judges. Rennie England is shattered by the untimely death of her father. She feels as if the world has spun off its axis, taking her sense of identity with it. She no longer knows where she begins or ends. The self she has always known, has lost its moorings. She is forced to evaluate the complicated relationship she has always had with her father as memories surface through the grieving process. The watershed of memory unexpectedly unleashed by death reveals the powerful residual connection between her father and everything else she has experienced in her life. Unmoored is made powerful by the author’s ability to invoke rich images of the natural landscape, as well as the sometimes stark reality of human nature. 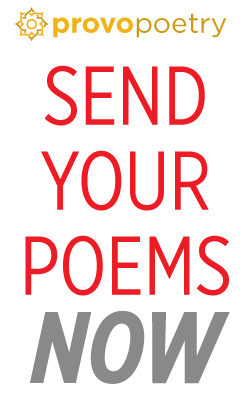 Seething with raw emotion, readers feel as if they are experiencing the critical moments in Rennie’s past, firsthand. Now living in Salt Lake City but raised in eastern Idaho, Parker has a love for its woodlands and rivers. And as with the main character of her novel, she too is a painter as well as a writer. Through both broad strokes and intricate details, Parker’s novel creates a moving portrait of love and loss impossible to forget. Unmoored (Winter Beach Press, 2015) is one of three books of fiction that were finalists for the 4th Annual 15 Bytes Book Award, the winner of which receives a modest cash prize. Melanie Rae Thon and Paul Ketzle, also from Salt Lake City, will appear with Parker later this year at an honorary reading and celebration during the Utah Humanities Book Festival. You can find the 15 Bytes book review of Unmoored by Krystal Baker here. Below, Baker has asked Parker a few questions about her book, her process and her future plans. 15 BYTES: Tell us a little about yourself? Perhaps something not many people know? JERI PARKER: I was in a riot in Cairo in 1965 and experienced firsthand the depth of resentment felt toward those getting unwarranted preferential treatment. My group of young American students were guests of the Egyptian government. When we were ushered to the front of a very long line into anniversary ceremonies for President Nasser, shoving and pushing turned into a full riot and some of us got a little roughed up. 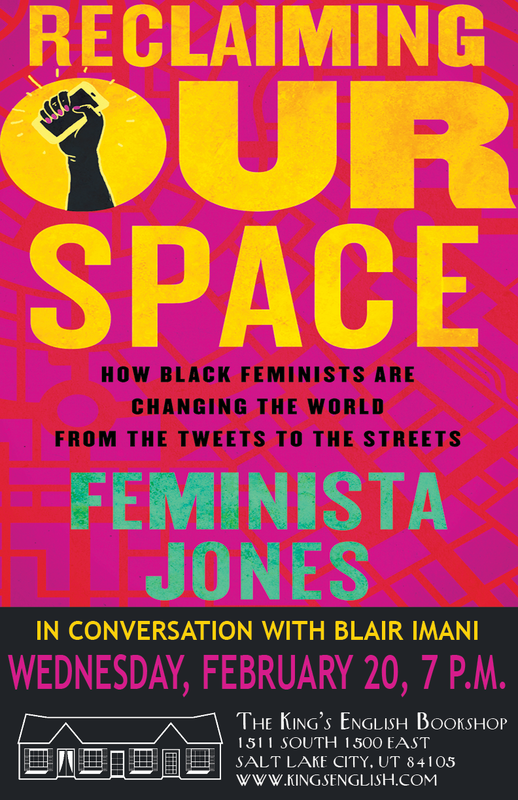 I came away with an indelible sense of the outrage felt toward those given undue privilege. 15B: Of all the characters you have created, which is your favorite and why? JP: The grandmother. She is robust, all-out, straightforward, a celebrant, and a storyteller—a chronicler of her time. She is unabashedly based on my own grandmother, a major influence on my life and my inclination to write. 15B: Tell us a little about your plans for the future. Where do you see yourself as a writer in five years? JP: I see myself, God willin’ and the creek don’t rise, sitting on this deck at my cabin in Idaho, pen, if not brush, in hand. I’ll have finished Ten Seasons of Wilderness [an upcoming collection of fiction] and a series of short stories. I hope I will have set up a foundation, leaving this cabin to other writers. 15B: What do you believe is the biggest “truth” about life you believe your readers will find in your writing? JP: Yiyiyi, the big truth questions. I believe readers will find in my pages that life is uncontainable, unpredictable, full of ambiguity along with a precious few certainties, that the stories that grow out of these elements invite readers to a greater understanding and interpretation of their own lives. 15B: You have characters that overlap in your memoir, A Thousand Voices, and novel, what can you tell us about that? JP: I like to let them cross borders. They did it in my own life, it seemed to me, and I let a few of them keep it up. 15B: How are writing and painting similar/different for you? Has one influenced the other? 15B: What motivates you to write? JP: The need to understand, and the surprise of it, the fun of it. 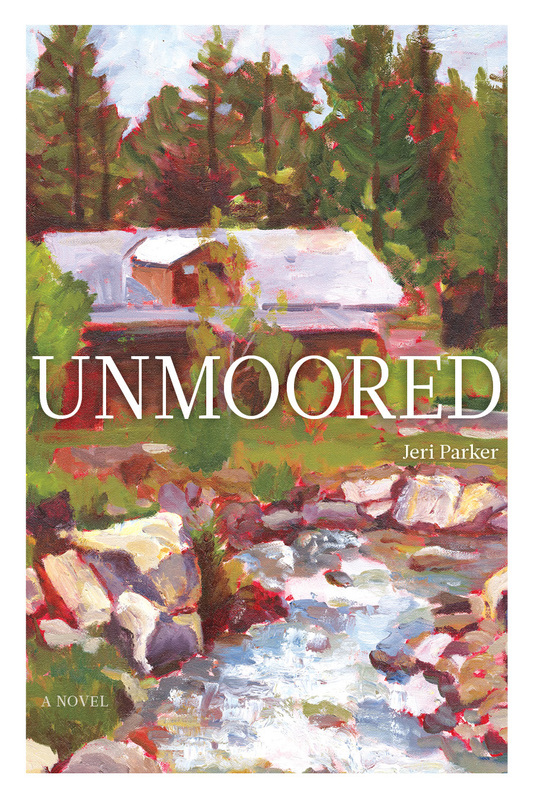 Congratulations to Jeri Parker for her winning book Unmoored! Three cheers and a 16 inch native trout! Much deserved! A deserving winner. Parker creates a world filled with beauty and mystery, loss and insight, folk wisdom and art. Parker has a way with words that pierces the heart and moves one to higher ground. The questions she asks of herself will stay with you long after the finishing of her book!